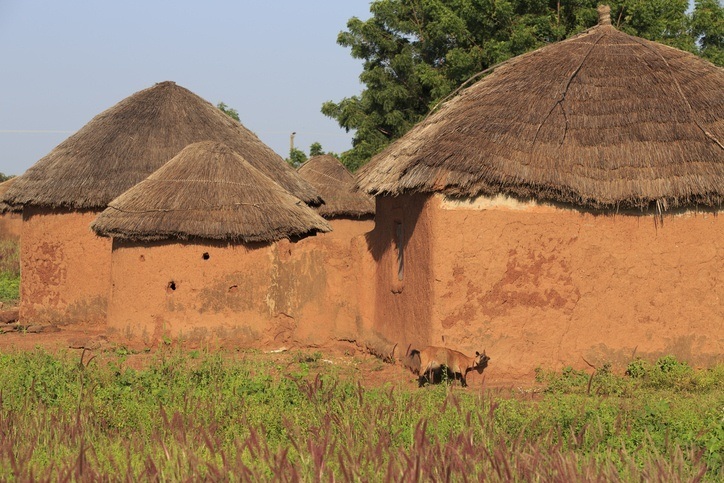 Although perhaps not as well known as the safari hotbeds to the south, Ghana can claim to be the jewel of West Africa – thanks to its healthy mix of culture, scenery, wildlife, and history. 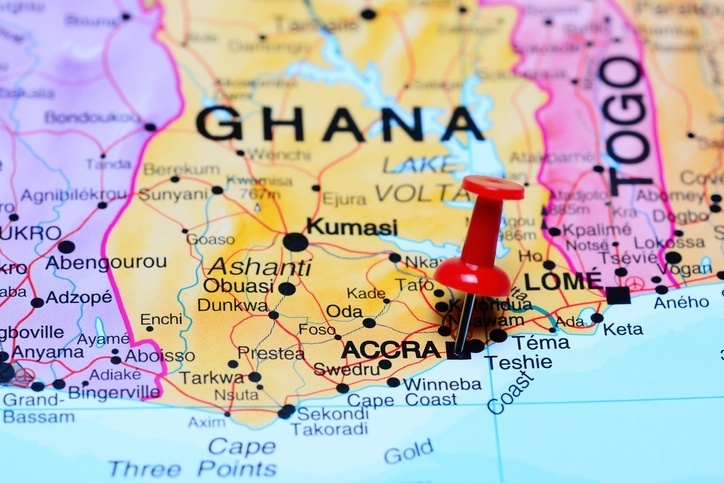 Ghana is located in West Africa. It borders Togo to the east, Burkina Faso to the north, the Ivory Coast to the west, and the Gulf of Guinea and Atlantic Ocean to the south. When is the best time to visit Ghana? December to March is arguably the ideal time. Temperatures are still hot, but humidity is lower, it’s generally dry, and crowds are smaller than in the summer. Summer is still an okay time to visit, but expect crowds and bugs (especially mosquitos in the north). Fall features thunderstorms, but they aren’t constant. Getting to Ghana isn’t always cheap. A round trip flight between Toronto and Accra starts at about $1800 Canadian. 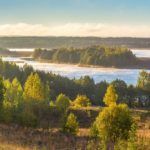 You can save a few bucks depending on the purpose of your trip (with a volunteer group for instance), but be sure to look around for cheaper deals. Buses are good for long trips in Ghana while local ‘tro-tros’ are suitable for short distances. Driving is an option as main roads are decent quality, however outside of cities you’ll find many unpaved and unmaintained routes. 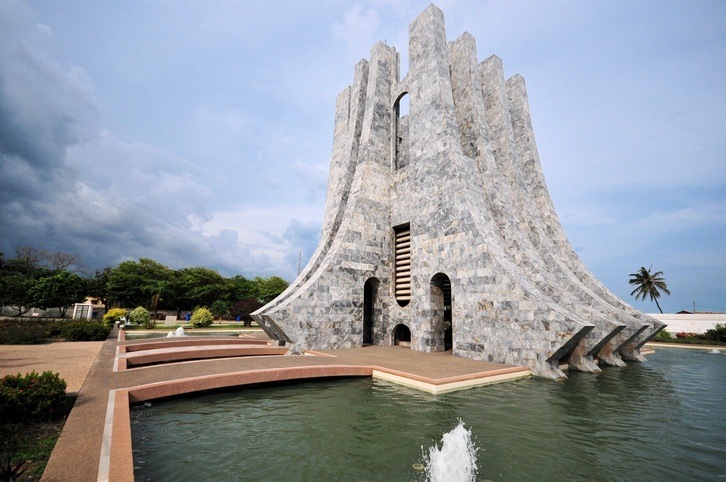 Start your Ghanaian adventure in Accra – the capital and largest city in the country. Just so you don’t walk in with unrealistic expectations however, it might be very different from what you are used to.. Accra can be loud, hot, and somewhat dirty, but its charms lie in the rush of activity, the people, and the local culture. 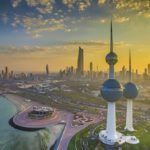 There isn’t much in the way of actual tourist sights, but the country’s best shopping, nightlife, and dining opportunities more than make up for this. The second largest city in Ghana, Kumasi, has a little more in the way of traditional tourist trappings than Accra – without losing sight of the authentically African. The first tip off that you are in for a treat is that Kumasi is often referred to as ‘the Garden City’. The city more than lives up its moniker with abundant and lush greenery. On top of that there’s a massive market that is a must-see, traditional Ashanti culture (the dominant kingdom prior to British colonization), and a fairly comfortable climate. All told, it’s the better of the two main cities to visit. 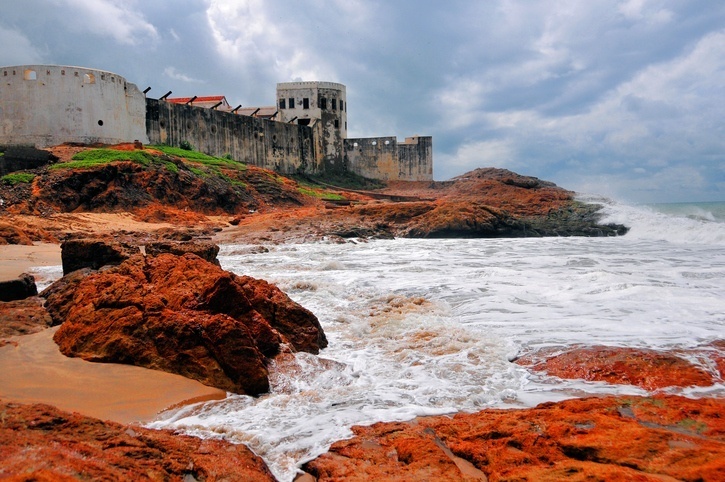 Historically significant, Cape Coast is a somber yet poignant reminder of the era of slave trade in West Africa. 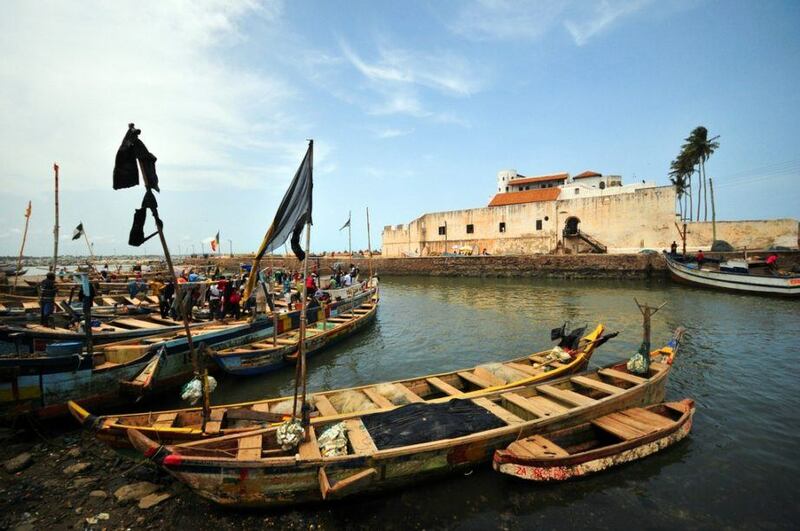 The city, frequented by the Portuguese (and many others), served as a port that was the largest slave-trading centre in the region. Colonial architecture from a variety of sources still remains, though some have fallen into disrepair. It’s a pleasant place nowadays thanks to the salt sea air, but you can’t escape the reminders of the past (and nor should you). 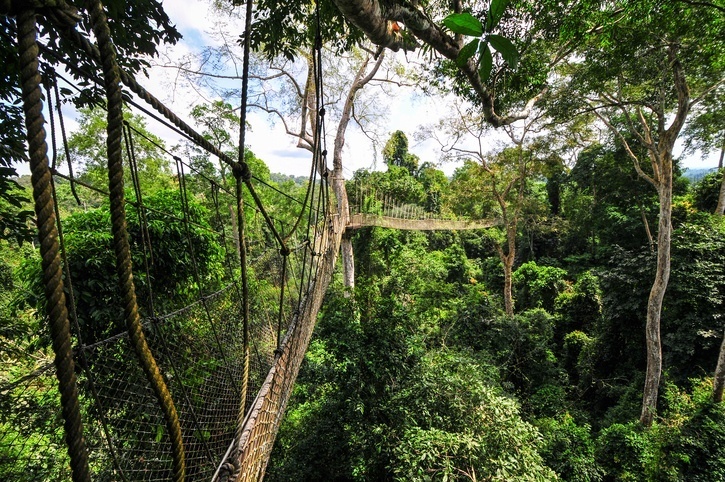 You can also explore nearby Elmina (home to a centuries old Portuguese castle) and the lush canopies of Kakum National Park from here. Located in the northern part of Ghana, Tamale is well known for two things – great cooking and harsh heat. While you won’t get one without the other, stomaching the heat means doing the same to some amazing cuisine. Culturally, Tamale is majority Muslim, which means that there is a distinctly different air than some of the more southern, coastal towns and cities. Located in the northwest of the country (not far from Tamale) is Mole National Park, the largest wildlife reserve in Ghana. While the safaris of Botswana, Kenya, Tanzania, and South Africa may be more well known, Mole puts Ghana right with them at the top of the list (for cheaper prices we might add). There are tons of animals – from birds to mammals and beyond – but the kings of the Ghanaian savannah are undoubtedly the elephants, of which you can spot many. You do have to register with park officials and you can’t explore on your own, but travelling by car or foot with a ranger is still an unforgettable experience (not to mention much safer!). This long, skinny region covers a portion of Ghana’s southeast. While lacking in tourist hotspots, the Volta region instead delivers with an overall lush and stunning landscape that’s ripe for hiking and adventuring. 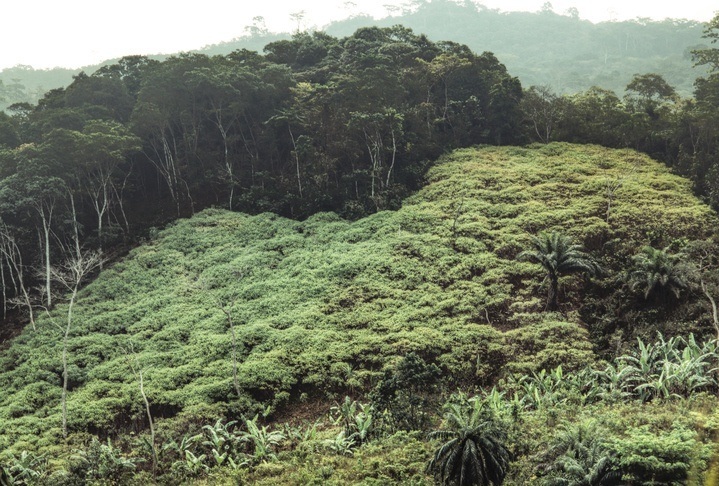 Mountains offer beautiful views while ample farmland gives you a window into rural Ghanaian life. If you have the time, it’s certainly a place worth exploring. While the number of national recognized languages is in the double digits, the official language in Ghana is English. Often used as a ‘common tongue’ (so to speak), you should be fine getting by with English for the most part. Ghana is, by and large, a very cheap place to visit. Average daily expenses come out to around $12 a day, though you could get this down to under $5 if you’re frugal. Even higher end of travel shouldn’t be much more than $25 a day. While there is no nationwide advisory for Ghana, a high degree of caution is recommended due to crime (largely of the petty variety). Theft and occasional attacks are known to happen (especially around Accra). There have been attacks on foreigners in taxis at night in some cases, so try to limit these trips to the day and don’t travel alone. There is some threat of terrorism in Ghana, though it is not as major a concern as in some nearby countries. City roads are pretty good, however outside of this can be suspect. Try to drive only during the day and be on the lookout for pedestrians/aggressive driving. Public transportation can be unreliable, so be aware of that before taking any. If you’re on a safari, listen to everything the ranger says and use common sense. For more on travel safety, check out the Canadian Travel Advisory for Ghana. You can learn more about Ghanaian history and culture in the Country Profile as well as its currency with our Spotlight. For more information, check out the official tourism site for Ghana.